The 2013 Carnival of Venice will take place between 26 January and 12 February. The best times to go are in one of the three week-ends included in this period, because it is on Saturdays and Sundays that most celebrations take place. Below we will show the hotels with the best quality / price ratios for 3 nights, breakfast included, (check-in Fridays, check-out Monday morning) for the first week-end of 25-28 January 2013. We are looking for hotels either in centre, within walking distance of the main sights, or outside the centre, but with regular public transportation service - either by bus or by boat. As a general impression after doing an extensive search for Venice hotels: we would rather stay in a new 4-star hotel in Mestre, a suburb 10km from central Venice, with good public transportation links, than stay in outdated historical buildings in the centre transformed in hostels / hotels / B&Bs with poor services and facilities. It's too much of a gamble with these old buildings and their owners (see reports from customers on booking.com). Good size and clean room and good breakfast. The only downside is that the hotel's restaurant does not have a separate non-smoking room, so in the evening it's pretty foggy from all the smokers coming to have dinner. - at the restaurant we waited more than one hour since we passed the order until we got the food. Priority Club is the rewards programme of IHG (InterContinental Hotels Grup), which gathers brands such as InterContinental, Crowne Plaza, Holiday Inn, Hotel Indigo, Staybridge Suites and Candlewood Suites. There are three membership levels: Club (entry level), Gold (medium) and Platinum (highest). The main advantages of Platinum are the complimentary room upgrades, if available, and 50% more bonus points on each stay. One way to obtain the Platinum level, other than staying 50 nights in IHG hotels in a calendar year, is to ask for a status match. Let´s assume that you have the Hilton HHonors Gold level. If you don´t, check out our other post on how to obtain it here. - a scanned copy of the HHonors statement (print-it from your HHonors account), where it shows that you have Gold status. You should receive a reply within one week. EconomyBookings.com is a low cost online distributor of rental cars. They currently show up to 45% discount for car hire in Italy booked until 15 January 2013. - the same car during the period 15-22 February 2012 in Florence has the same price of 162 euro, while Expedia quotes it at 276 euro (40% saving). We do not know exactly what is the latest pick-up date for which the offer applies, but it seems that until the end of March 2013 there is a good deal to be made (we tried a rental in April and the price was not that competitive anymore). Hotel.info, a German based online travel agency which we often use, has just released its 2012 list of top 10 hotels in Europe, classified according to travelers' ratings. A 10% hotel voucher code is available at Expedia for all reservations made until December 31, 2012, with hotel stays until June 24, 2013. The discount is applicable to the Expedia rates ("Offre Expedia" in the French version), excluding taxes and fees, for a minimum 50 euro purchase. To obtain the Expedia promo code and start the hotel search, follow this link to the Expedia France page. Please stay on that page, as the discount is only applicable when booked from Expedia France. If you do not speak the language, use an automatic translator such as that of Google Chrome. Then proceed to the reservation as usual, and in the payment window look just above the credit card fields for the section "Saisir un code de bon de reduction ou de promotion" (""Enter a coupon or promotion code"). Type in the code you obtained and push the button "Utiliser un bon de reduction" ("Apply coupon"). The same room costs 149 euro on booking.com. Full terms and conditions of this deal here. Zuji Singapore (sister site of Travelocity.com and lastminute.com) shows an attractive holiday sale on hotels: a promo code for 15% worldwide. Basically you get the same offers as with Travelocity.com and lastminute.com, but with the added benefit of a 15% discount. The hotel voucher code is valid for purchases of minimum 300 Singapore Dollars (about 250 USD) made until 5 January 2013. Ensure you check again this banner, as this offer is part of the 12 days of Christmas promotion from Zuji, where they add additional travel deals each day. Remember that the currency is Singapore Dollar (SGD). Use a currency converter to see the value in USD or EUR before you make a purchase. Hilton has an unbelievable promotion for bookings and stays made until 7 January 2013. As an example, the Hilton Innsbruck over the Christmas period was quoted at 64,50 euro per night for a double room (that's 50% off the standard rate). There is a very quick method of obtaining HHonors Gold tier elite and thought of sharing. It was this post on the Fat Wallet forum. A friend of us tried it and it worked just fine. Royal Orchid is a chain of 21 upper class hotels in India. They currently show 50% on selected hotels for the Christmas and New Year's Eve holidays (actually the promotion is running until 6 January 2013). We took the example of deluxe room for 2 nights over the New Year's Eve (30 December - 1 January) in the Royal Orchid Central Grazia in Navi Mumbai: it has a total 192$ on their website (room only), while booking.com shows the same room at 384$ (breakfast included). A 20$ hotel promo code is available at CheapOstay for all hotel reservations made until December 31. We took an example: the Best Western Chavannes de Bogis near Geneva, Switzerland, costs 221$ (after the 20$ discount) at CheapOstay for 2 nights over the week-end 4-6 January 2013 - see print-screen above. The same room costs 241$ at booking.com (exactly 20 USD more expensive). Proceed to the reservation as usual, then, in the payment window, look for the "Apply a discount code" caption, below the total price, on the right side of the screen, type in the code and push the button "Apply. The same room costs 487$ at booking.com. Airline Direct is a German based online travel agency. They are currently running a good promotion: save 35 euro with promo code when booking for at least 2 travelers until 31 January 2013 (flights departing until 31 August 2013). The coupon code is not applicable to low-cost flights, nor to flights within Germany. The booking website is in German, but you may Google Chrome to help you out. Search for your preferred flight and in the payment window, below the the credit card information, there is a section "Möchten Sie einen Geschenk- oder Aktionsgutschein einlösen?" where you have to tick and insert the promo code. Follow this banner to obtain the code and open the Airline Direct website. Please double check before you validate your booking whether the code was successfully applied. Extend your holiday period with a week-end in the UK at discounted rates from Crowne Plaza. The offer is valid from Friday / Saturday / Sunday nights until 10 February 2013 (to be booked at least 21 days in advance, but no later than 30 December 2012). - Crowne Plaza London Kensington****, the King Club Room is at 340 GBP, breakfast included, while on booking.com the same room is at 448 GBP (30% more expensive). You have one week, starting today, to take advantage of a 10% HotelClub.com promo code. HotelClub is an online travel agency part of the Orbitz group. We tested the validity of the coupon with an example: the NH Musica hotel in Amsterdam is priced at 263 euro for 2 nights over the week-end 28 - 30 December 2012 (breakfast included), after saving 27 euro with the coupon code (see print-screen above). The same room costs 335 euro at booking.com (20% more expensive). A 15% hotel voucher code is available at Expedia for all reservations made until December 20, 2012, with hotel stays until 30 June 2013. The discount is applicable to the Expedia rates, excluding taxes and fees. To obtain the Expedia promo code and start the hotel search, follow this link to the Expedia UK page. Please stay on that page, as the discount is only applicable when booked from Expedia UK. As an example: 2 nights over the last week-end of the year in Amsterdam, The Netherlands at the Dutch Design Hotel Artemis cost 177$ (or 109 GBP), after the 29$ discount. The same room costs 215$ on booking.com (so you get more than 20% off from Expedia). A special promotion is currently run by Venere.com for bookings made until 22 December and stays for this holiday period. With at least a 10% discount in cities such as Rome, Paris, Florence, Istanbul, Barcelona, Prague, Berlin, Budapest, London, Milan, Vienna, Amsterdam, Lisbon, there is something to choose from for everybody. Follow this specific link to their page to get the special hotel rates automatically applied. - Hotel Farnesina*** in Rome, Italy has a total price of 267 euro (breakfast included), while on booking.com the same room costs 310 euro (15% saving). Stay 2 nights and get the dinner free for the first night. This is the deal offered by Superbreak in several cities in the UK. Superbreak is a UK based travel agencies specialised in short breaks in the UK and Europe. - Crowne Plaza Liverpool John Lennon Airport****, total price of 160 GBP, with the same price on booking.com, but without dinner. Thistle is a hotel chain with over 32 properties in the UK (10 of which in London). - County Hotel by Thistle***in Newcastle, England costs 85 GBP, while on booking.com the same room is 98 GBP. Book with EasyToBook to get a 10% discount on stays any time of the year. Another good hotel deal from Eurostars Hotels (a chain of hotels with over 60 properties around Europe and the Americas: Vienna, Prague, Brussels, Barcelon, Madrid, Paris, Berlin, Munich, Budapest, Roma, Venice, Lisbon, Porto, Mexico City, Buenos Aires, New York). - Eurostars Panorama*** in Paris, France, costs 221 euro, while on booking the same room is 245 euro (10% saving). Make sure you compare the rate from the Eurostars website with those of other online travel agencies, to confirm that there is a deal to be made. An special Christmas promo code for a 10% discount on hotel bookings made through Hotelopia until December 31, 2012 (stays until 31 December 2013). Hotelopia is a worldwide online travel agency part of the TUI Group. The same room over the same period is shown at 266$ (breakfast included) on booking. A 12% hotel promo code is available at Zuji for hotels in Taipei, Taiwan. Bookings must be made until 17 December 2012, with stays until 31 March 2013. Follow the link on the banner below to obtain the code on the Zuji webpage. The promo code is valid on the Zuji Singapore website for first 50 customers making a purchase. The website is in English and the currency is Singapore Dollar (SGD). Use a currency converter to see the value in USD or EUR before you make a purchase. 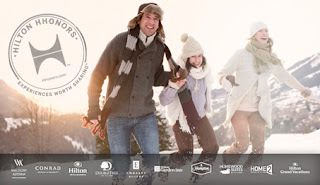 Take advantage of the winter holidays with hotel promo code from CheapOair.com. We tested the validity of the deal with an example: the Holiday Inn Express Munchen Messe in Munich, Germany, costs 85 USD per night, breakfast included, for the last week-end before Christmas, while the same room on booking.com costs 119 USD. However, please pay attention when searching for hotels with CheapOair, because for many hotels you may find better deals elsewhere, even after applying the 15$ discount. 48 hour sale from Orbitz for 3 hotels in Hawaii, to be booked until 12 December. We tested the deal with an example: the Hotel Aqua Waikiki, for 2 nights over the 21-23 December week-end, has a total price of 250$ (breakfast included), after the application of the 15% discount. The same room costs 290$ at booking.com, but without breakfast. The US based hotel discounter TripAlertz has a new hotel promo code valid until 1 January 2013. In the payment window, below the credit card information, look for the field "Promo code", type in the code obtained above and then push the button "apply code" to get the discount. We found a really good deal near Miami: the Doral Golf Resort & Spa has a total price of 253$ for 2 nights over the week-end 21-23 December (after the 22$ discount), while the same room costs 433$ on booking.com. As usual, please pay attention when you look for hotels on Tripalertz: while they show good hotel deals on some hotels, for others you may find better rates at your online travel agencies. The 72 hours sale from Expedia takes us to exotic Istanbul this week (reservations to be made until Thursday, 13 December and stays until 13 March 2013). To take advantage of the sale, follow the link to the dedicated Expedia page. They advertise also offers for Dubai and Morrocoo, however we checked some of the hotels displayed and they do not seem to have better prices than booking.com or other online travel agencies. An additional 10% discount is applied to the hotels where it is written "Hotel promotion": in the payment window, just above the credit card information, type in the hotel voucher code UK50SAVE10 in the field "Enter a coupon or promotion code". - Hotel Sarnic Istanbul costs 140 euro (breakfast included) for the same period. The same room is priced at 165 euro by booking (15% more). UNA Hotels is a chain of quality hotels spread around Italy (Milan, Rome, Naples, Venice, Bologna, Bari, etc.). So far we have stayed in Benevento, in Campania, and we were happy with the conditions (see review on our blog). We tested the deal with the UNA Hotel Bologna, where 2 nights over the week-end 18-20 January 2013 cost a total of 138 euro (breakfast included). The same room is 168 euro on booking.com. That's a 30% discount on UNA's flexible rate, but it's not really 30% discount compared to what you can get on other travel websites like booking.com. Even so, it's 30 euro discount, which is still a good deal (about the same discount was shown also for other UNA hotels in Milan and Rome).